Everyone has that one go-to hairstyle that makes them feel good and confident. This doesn’t change with age though, and women over 60 also have hairstyles that they absolutely adore. Variety is the spice of life and the same is true of hairstyles. So, it’s always good to have more than one excellent hairstyle in your toolkit. To help you increase your hairstyle repertoire, here are 7 hairstyles women over 60 love to rock. Hairstyles are all about expression. Take a risk and see how well these styles express you. Gone are the days when ladies over 60 had to have boring hairstyles. Modern hairstyles for women over 60 can be cute, stylish, sassy and edgy. If you are looking for something a little more modern, this short, feathered pixie cut is for you. Remember, the person makes the hairstyle and not the other way around, so try this haircut if shorter hair accentuates your already amazing looks. The short pixie is one of the most adored of the hairstyles for over 60 women. The pixie cut is a classic look for women who have reached and passed the 60 milestone. This haircut is both classy and sassy at the same time. Who can argue against the ageless class and sass of Judi Dench? This haircut is a great way to use naturally white or gray hair to its best. Let your hair taper off with longer hair at your crown that shortens gradually as you reach the nape. This hairstyle is one of those you have to test for yourself, and the shape of your face. Normally, longer hair can make you look a little older than you actually are, but some can pull it off. An easy alternative is to let your hair go to just under the chin. To add something to hairstyles, you can have cheek length bangs as well. This will give it a more modern look and frame your face better. Your choice in hairdos does depend somewhat on the shape of your face. Maybe you are not yet ready to let go of your long tresses. If that is the case, there is this medium length style that has an asymmetrical fridge. Sandra Bullock is a perfect example of pulling it off. This is a firm favorite for women over 60. This a great hairstyle for those into low maintenance hairstyles. The great thing about it is that it works both as a fun casual look and at the same time it can be a conservative, professional look for more work-related functions. It is also very versatile with regards to hair. You can work in your own hair color or even go for a completely different color. This short bob is anything but boring. It features a bob cut that goes all the way up to the chin. Adding asymmetrical bangs and giving the hair more texture makes for an exciting but stylish look. This is for those who feel the pixie is too short and too boyish. Add full bangs to the mix for a more feminine look like Emma Thompson. Your hairstyle can represent many things. It can show your mood or your personal style choices. This doesn’t mean you should be limited to only one hairstyle. If anything, it is good to have a range of hairstyles that you like, and which makes you feel good. Try the above 7 hairstyles women over 60 love. 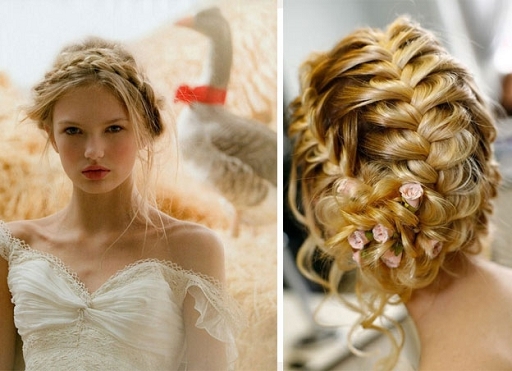 Explore and express yourself with these beautiful hairstyles.